Hernando, Miss. 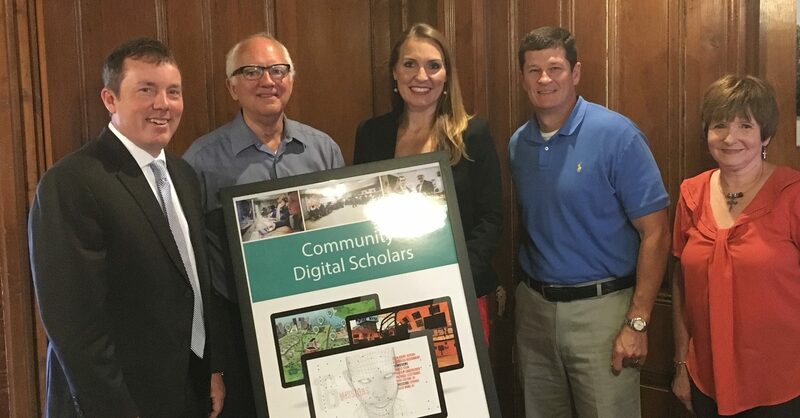 July 20, 2016 – The Community Digital Scholars Program reached over 15,000 students across Northwest Mississippi during the 2015-16 school year. The program of the Community Foundation of Northwest Mississippi uses EverFi, an innovative online education platform. The digital platform presents 21st Century Learning tools for students including: Financial Capability, (Science, Technology, Engineering, and Math) S.T.E.M. Readiness, Health & Wellness, Career Leadership & Success, and Diversity & Inclusion. EverFi is a technology innovator that empowers learners of all ages with the skills that prepare them to be successful in life and work. For instance, high school students improved their knowledge of personal finance by 91 percent. EverFi, Inc. is the leading education technology company focused on teaching, assessing, and certifying K-12 and college students in the critical skills they need for life. The company teams with the Community Foundation to provide the programs at no cost to K-12 schools. Some of America’s leading CEOs and venture capital firms are EverFi investors including Amazon founder and CEO Jeff Bezos, Twitter founder Evan Williams, Rethink Education, New Enterprise Associates, Inc. (NEA), and Tomorrow Ventures (the investment arm of Google Chairman Eric Schmidt).